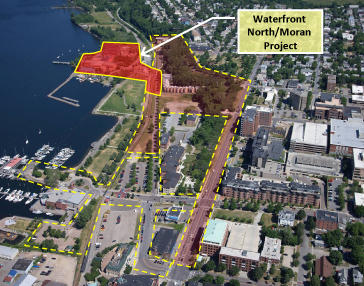 Waterfront Access North | Resource Systems Group, Inc.
RSG is working with the Community & Economic Development Office and Burlington’s Department of Public Works on the Waterfront Access North transportation improvement project. 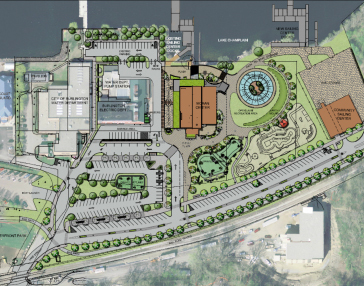 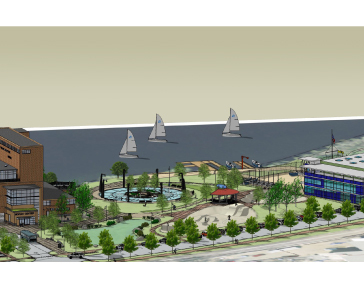 This is the second phase of a larger waterfront design project. 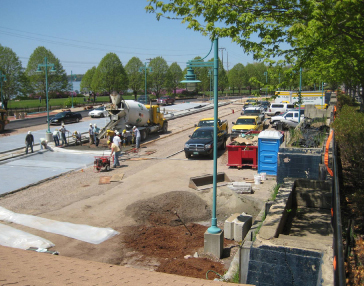 The first phase, including the reconstruction of lower College Street, reconfiguration of the Pease parking lot, and construction of a new information building with public bathrooms, is now complete. 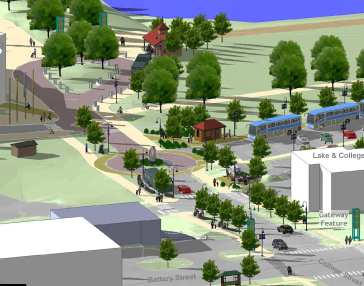 The Waterfront Access North project involves rebuilding the end of Lake Street, realigning and upgrading portions of the bike path, brownfield remediation, utility undergrounding, consolidating parking, putting in a new Skatepark, sidewalks, plantings and lighting improvements, and all other needed public improvements.